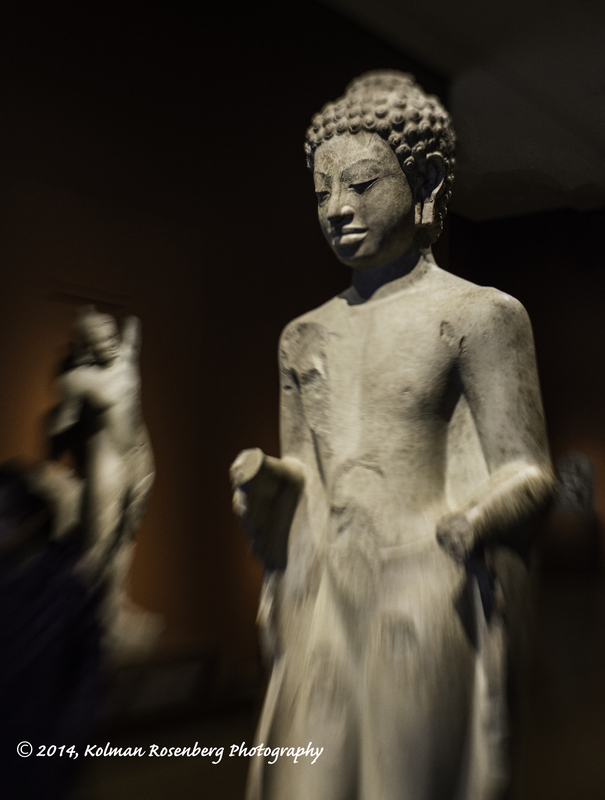 A few recent photo adventures with friends led to shots of religious figures as sculpture art. Back in December, at Cleveland’s beautiful Trinity Cathedral, we had the opportunity to photograph a rehearsal and performance of a yearly Christmas Tuba Concert. Unusual and surprisingly beautiful music can come out of those instruments which I normally think of as only possessing the deep low tones. We were given total access to the cathedral and orchestra itself and I wandered back behind the alter to photography some of the musicians toward the back and at the same time the large statue of Christ at the back of the alter. I took a number of photos from different perspectives but this one, almost straight up from below, was my favorite. 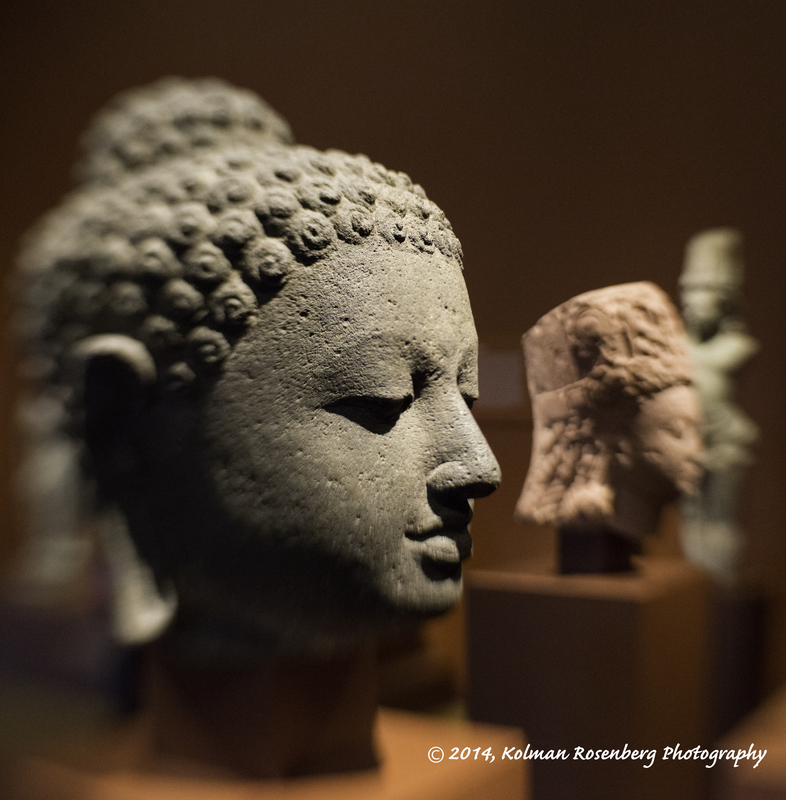 Another recent adventure took a friend and I to the Cleveland Museum of Art for a wonderful day of seeing the recent completion of the museum’s renovations and a new exhibit of Indian, Southeast Asian and Far Eastern art, much of which was also religious in nature. Shooting again with the Lensbaby, I found interesting perspectives in which to really show the capability of the Lensbaby to highlight an area of sharp focus while at the same time, surrounding that area with various amounts of blur which only suggests what is there in the background. These two images were fun to experiment with and the nice color tones of the galleries made for some pleasant photos of these religious icons. Though it’s not usually my practice to photography other’s art, in these cases I wanted to capture the beauty of these religious icons. 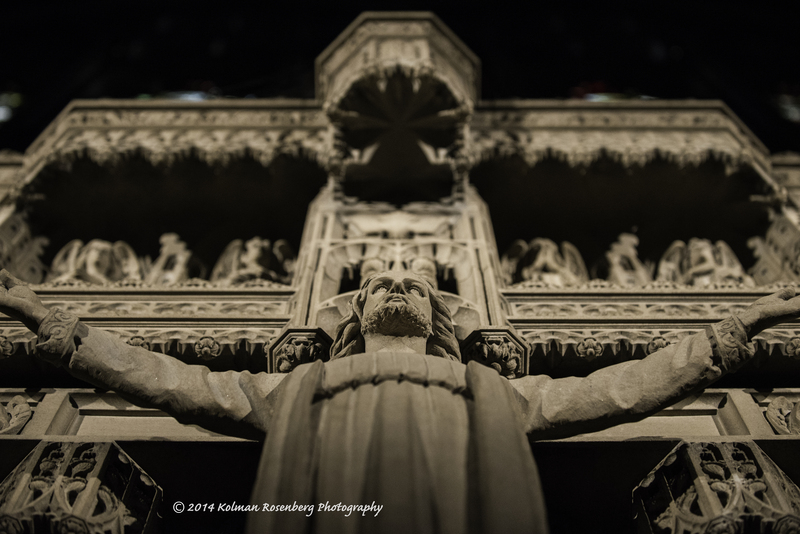 This entry was posted in Uncategorized and tagged art, Christ, Cleveland, Cleveland Museum of Art, CMA, icon, Lensbaby, religion, sculpture, trinity cathedral. Bookmark the permalink.